Preterm or premature birth is a term that is described to the birth of an infant before 37 weeks of pregnancy. 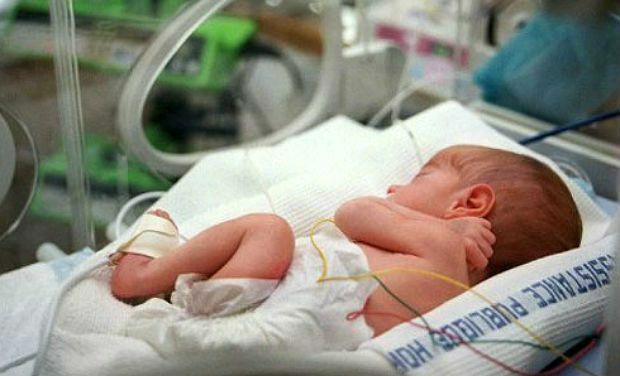 The greatest contributor to infant death is linked to preterm birth with most preterm-related deaths occurring among babies who were born very preterm (before 32 weeks). In addition, another leading cause of long-term neurological disabilities in children is linked to preterm birth. Parents are faced with the challenges with the result of preterm birth which can both have a physical and mental effect to them. With that being said, a lot of parents were able to push through and find the light at the end of the tunnel with regards to such challenges. Finding inspiration definitely goes a long way in coping with such issue and stress. A Canadian photographer and father of two children born prematurely, Red Méthot, started a photo series which aims to highlight how these babies grow and develop. His gallery features both children and adults who were born early holding photographs of themselves as infants with series is entitled, “Les Prémas” with a diverse list of different individuals from both young and adults alike who were once premature babies themselves however, now look full of happiness and life. The full gallery can be seen and is available on Méthot’s Facebook page with a growing number of likes and positive comments. It should be noted that during the final weeks and months of pregnanci, a baby goes through important growth. The final weeks of pregnancy to helps fully develop many organ systems which include the brain, lungs, and liver. Also, parents face a higher risk of serious disability or death the earlier the baby is born. For families, preterm births also may cause emotional and economic burdens. It is good to hear that even though premature births is a problem many parents are facing, there are several good news that revolve around this issue that helps warm the parents’ hearts as well as ourselves. Premature babies need all the love and attention from everyone.